We need your donations in order to bring this album to the world. Works by historic black composers Florence B. Price, Samuel Coleridge Taylor, and Coleridge Taylor Perkinson, recorder by the Catalyst Quartet with clarinetist Anthony McGuill and pianist Stewart Goodyear. 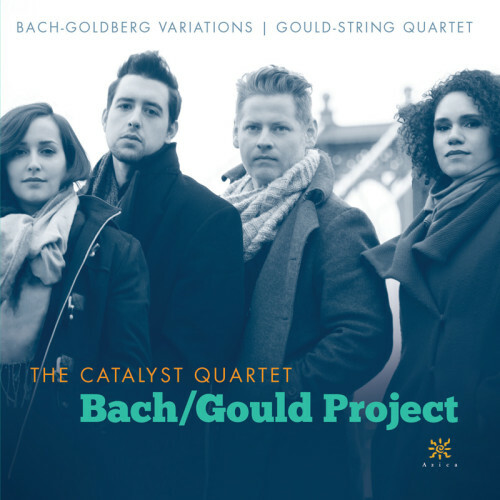 The Catalyst Quartet's own arrangement of Bach's Goldberg Variations for string quartet, paired with Glenn Gould's only major composition-- his String Quartet Op. 1. The Catalyst Quartet can be heard in collaboration with Cecile McLorin Salvant and her Jazz trio on the Grammy winning Album-- "Dreams and Daggers"
The Catalyst Quartet's newest album is now available, Bandoneon Y Cuerdas. The album features a collaboration with Argentinian Bandoneon player and composer, J.P. Jofre. This is the Catalyst Quartet's free and personally curated series in the Lower East Side's own Howl Art Gallery, exploring the intersections of art, music, performance, social justice, equality, and community activism. The Catalyst Quartet"s program featuring the concept of Angels, and how music personifies the universal forces these mythical figures embody-- whether they be angels of death and mercy, or the people that touch us in our lives. Join the Catalyst Quartet as they tour the music of North America. The Catalyst Quartet's program featuring South America's music tradition and it's roots in the classical cannon.